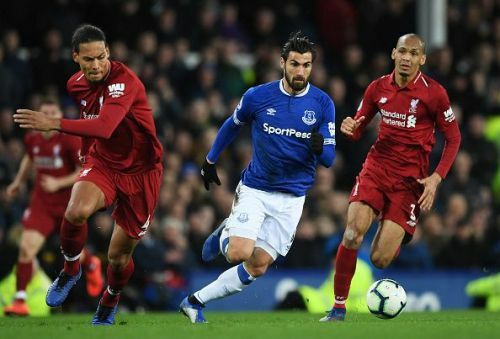 Following Sunday evening's draw with Everton in the Merseyside derby, Liverpool have officially relinquished top spot in the EPL to Manchester City. As recently as January, The Reds held a seven-point lead over The Cityzens and had an opportunity to extend it to ten when the pair clashed at the Etihad on the 3rd of January, but fluffed their lines and saw their lead cut to four points. Opportunity arose again when City unexpectedly lost to Newcastle, but rather than take advantage, Liverpool once more conspired to be architects of their own destruction by drawing consecutive matches in winnable games against West Ham and Leicester City to see their lead cut to three points. The Reds have been solid this season under Jurgen Kloop, having long since sorted out their defensive shenanigans, while their attack continued to be as potent as ever. Despite their spell at the top of the standings, there were many who believed Liverpool could not go all the way and would choke when the chicken came home to roost. However, their vastly improved defense gave fans reason to be optimistic. As it is, Jurgen Kloop's men now find themselves playing catchup to the defending champions with nine rounds of matches left. If Liverpool fail to break their league drought this season, it would be highly disappointing for their fans, considering how long they've spent at the top of the standings which made the Anfield faithful dare to believe. This would however not be the first time a club would fail to last the distance having been at the forefront for most of the campaign. In this piece, we shall be taking a look at five times clubs choked at the business end of the season despite being in a commanding position. Arsenal came into the 2002/2003 season as the league and Cup 'double' winners from the previous campaign and boasted a host of world class players across all departments in their squad. Back then Arsenal were easily the strongest team in England (even though that might be hard to believe these days) and were firmly in position to retain their league crown, as they opened up an eight-point lead at the top of the table when they defeated Charlton Athletic 2-0 on March 2nd 2003 (this saw a top British bookmaker pay out on punters who had staked on Arsenal winning the league as it was believed they could not let such a lead at the top slip despite United having a game in hand). As it happened, the bookmaker was left counting it's losses, as just 21 days later, Manchester United who won all three of their matches had gone ahead of Arsenal who posted a shock a 2-0 loss to Blackburn Rovers (although their win over Everton restored them back to the top of the table). With just seven matches left, Arsenal suffered a 1-1 draw with Aston Villa to see their lead at the top reduced to just goal difference, heading into their top of the table clash with United which ended in a 2-2 draw. A 2-2 draw with Bolton two weeks later (where Arsenal blew a two-goal lead) handed the initiative back to Manchester United and by the time Arsenal lost 3-2 at home to Leeds United (who needed the victory to survive relegation), it effectively meant the title had been conceded to Manchester United. In total, Manchester United won 15 of their last 18 matches, while Arsenal managed to win just 10, with the result being that The Red Devils ended up finishing five points ahead of Arsenal which was scarcely believable, considering the array of leaders present in the squad back then. However, Gunners fans' heartbreak did not last too long, as the very next season, Arsenal etched their name into Premier League history as the 'Invincibles' finished an entire league campaign undefeated.